Each testing there is a lot of opportunities to learn. This can be as the Aikido students taking the test, the students watching the test, and also as the people giving the test. For the people taking the test you will have your good techniques and the techniques that need more work, but in the end people are usually harder on themselves that the instructors. 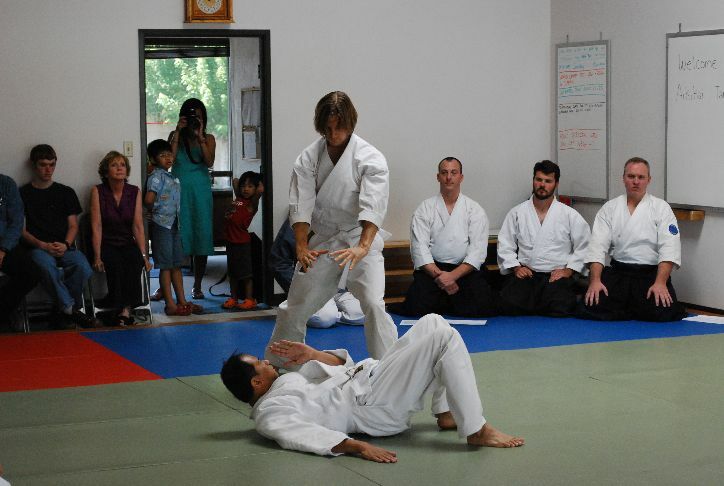 I personally think we should always strive to do the best Aikido we can. To do this one has to put a lot of time into training and refining the techniques. This includes taking to heart the points that the instructors give us to work on. For the people watching the test there is a lot to learn also. You can always be critical of others taking the test. It is very easy to do this from the back of the room watching. However, it is better to see what the students did well. Pick up on their mannerisms, techniques and overall attitude. Try to put yourself in their shoes and visualize yourself taking the test and how you would do the techniques. Then take these new views with you to the mat the next week! As an instructor and one of the people giving the test there is always so much that I get out of each test. This is a different view each time as you have different people testing at different levels and each test has their own challenges. Also, I think one of the most important things as an instructor is that you try to give your students the tools to succeed. This may be having extra classes to refine their techniques, having test prep sessions, or once in a while to just talk to each student and see what you can do to help them. You also hav e to see who is testing and see how to best match the nages (throwers) and ukes (fallers). With this one must think of when each student is testing, the skill and power of the nage, and also spacing. With limited number of students (at each level) it is important to not overtire people by having them uke when they may be taking a test. Or on the other side even during the test to give people some time when you see they are having a hard time physically. There is a fine line and some students who you know are very well prepared you can push them even harder. As you are the instructor you are the “team” coach, and sometimes you need to put people on the bench and know when to play your team. This can be a hard thing to do, and nothing usually goes to plan. I try to assign ukes and nages ahead of time, and als o have backups in case things happen. 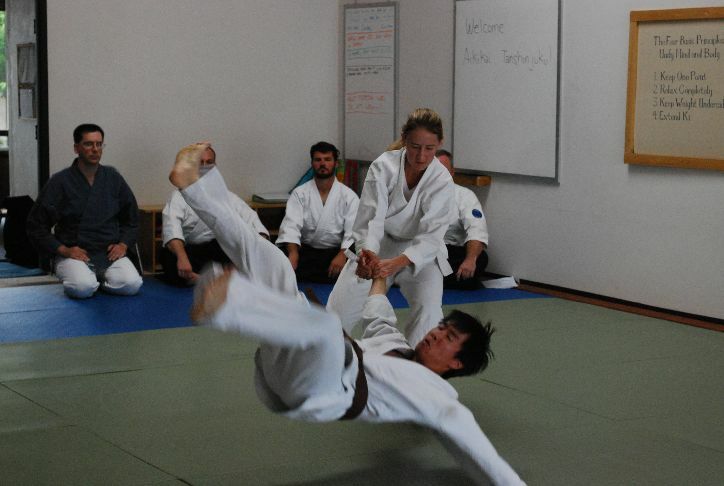 However, the higher the test the nage should be able to go with the flow and employ their techniques on ukes (that are near their level). Again we can not plan for everything, but we can always try. Each testing I learn a lot about my self, my students and also how others deal and work within the parameters that we are given. It is always nice to see how my teachers and fellow instructors handle each situation thrown at us. With this in mind the Aikido group in Colorado (Tanshinjuku, Kiryu Aikido, Castle Rock Aikido, and Doushinjuku) had a successful test. This was a kyu only test, but we had a few 2nd and 1st kyu tests which really challenge the students to do their best. I mentioned at the testing that it is always great to see people whom you have seen in multiple tests in the past years as you really can see the growth. 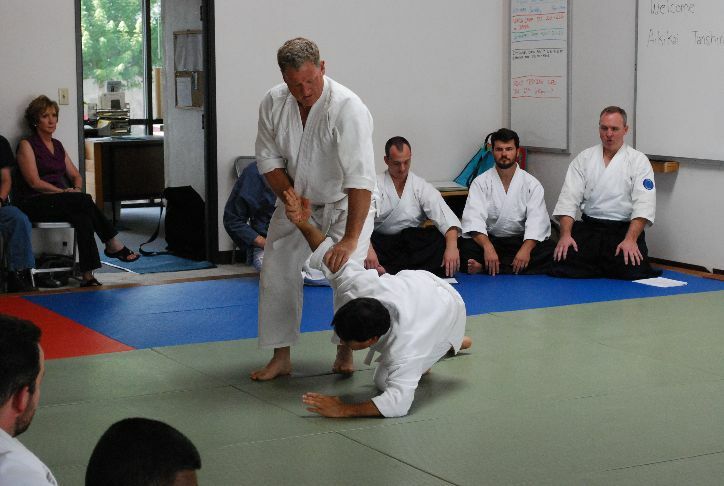 All is not equal in the Aikido world nor should it be. You can really see the students who put in a lot of effort, and the extra training really pays off in the end. However, I commend every one who came out for testing and the students and family who came down who were not testing for their support. Everyone you could tell put in a lot of work. The test is over, and the most important thing is that we get back to the mat. Past is past, and only our training and sweat will determine the future. 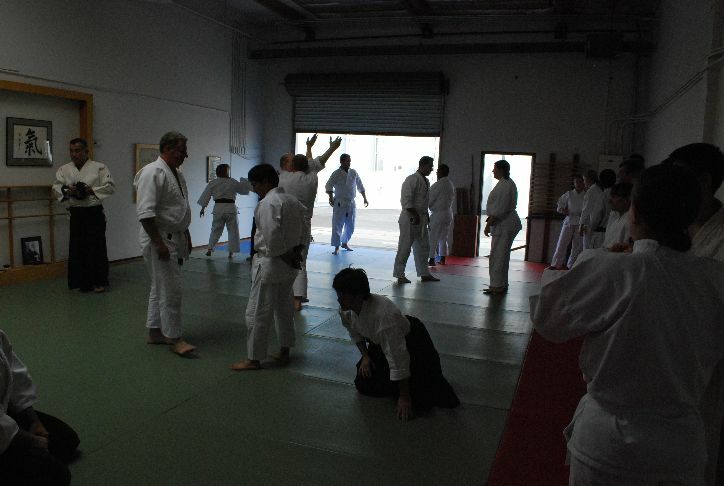 I love training Aikido and one could not ask for a more healthy martial art and friends. Thank you all. It was great to spend time with teachers and students from our dojo community, and Nabel Sensei was so kind to open his dojo for us. Since I was watching this time, it was really nice to take it all in — the energy, the feel, the flow, the pace — and see all the students and their different approaches. I had some new realizations of what I want my next test to look and feel like. For me personally, Mariquita Izawa Sensei’s comment really rang true — that we should seek out the biggest, strongest guys on which to try out our techniques. As Nage, I need to be effective and my techniques need to work, and on the other side, as Uke it’s my job to provide strong, committed attacks with full martial intent. It’s not about muscle, but power, and this is something I’m working on. It’s always a pleasure to share a few hours with good people. I look forward to the next time our dojo community gets together. Thanks for your comment. It was a good experience (as it is always) and glad that even people not testing or being uke showed up to support the group.